Year 9 students, Asha Finlay and Abbi Fielder. 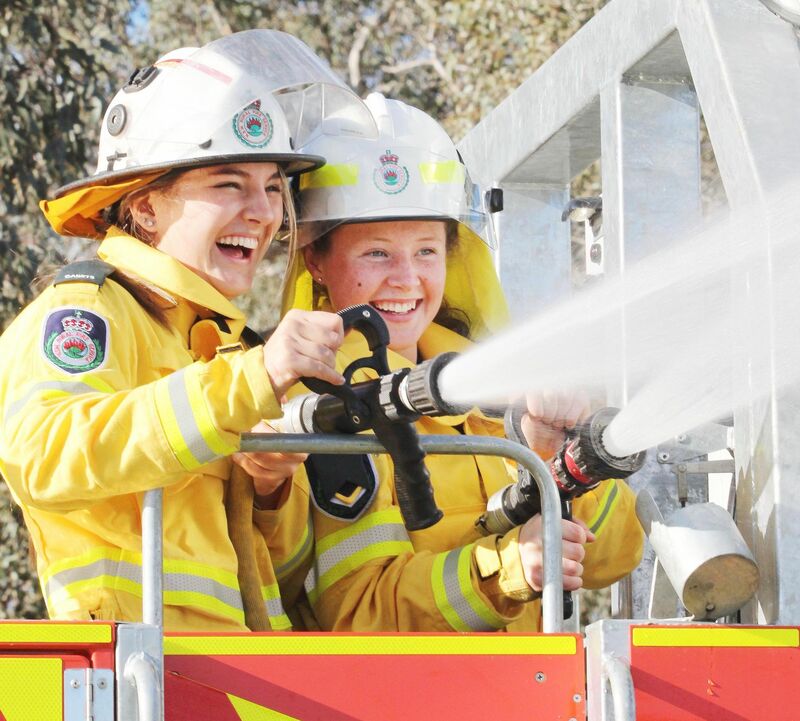 For two hours a week, students from Trinity Anglican College swap their school uniforms for personal protective equipment to jump on the back of a truck and learn how to fight fires. Year 9 and 10 students from the Thurgoona school – many who live in high risk bushfire areas – are currently completing a 12-week New South Wales Rural Fire Service Secondary School Cadet Training program, with graduation next week. Held after-hours as an extra-curricular school activity, the cadet program is proving a hit with students, with more girls than boys enrolled. 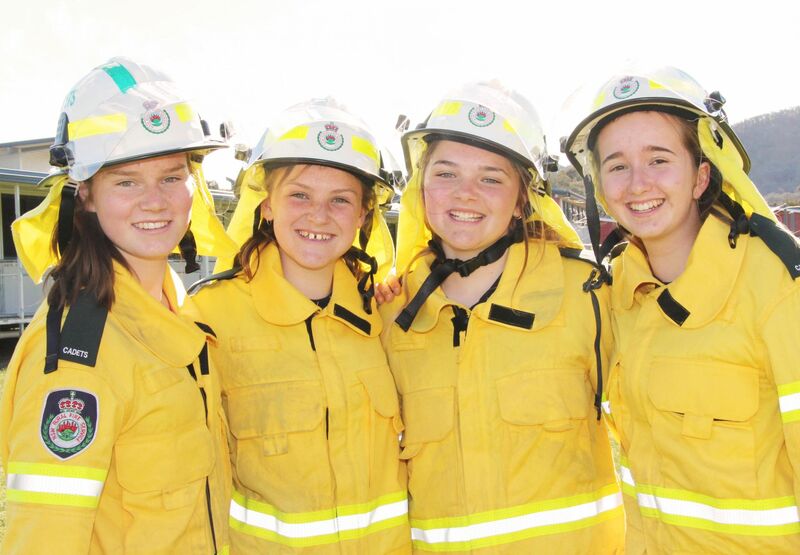 “You are learning skills that you can take into the future and in the event of a fire you can help,” said Yr 9 student, Evie Nelson. The course includes firefighting, fire safety, motor vehicle accident assistance and radio use and is recognised as a preliminary qualification towards joining a brigade. 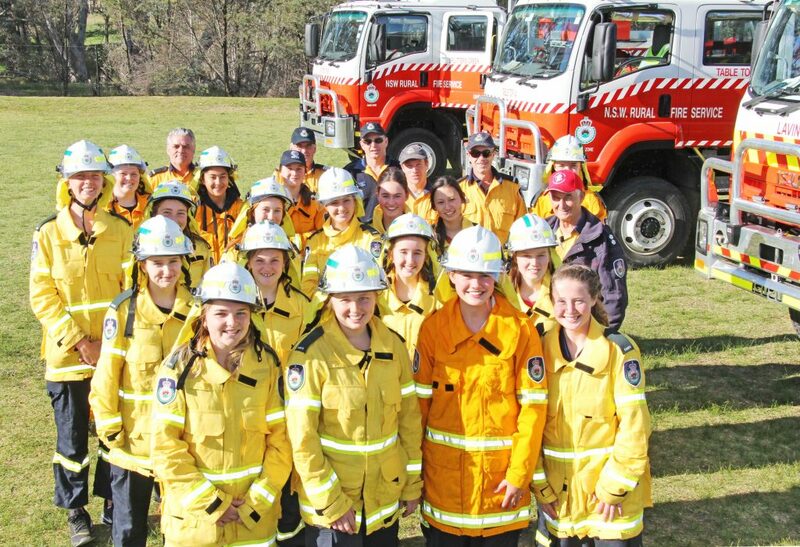 It is the second year in a row the school has worked with volunteers from the local NSWRFS brigades Splitters Creek, Table Top and Lavington, to host the program – tripling the number of participating students from nine last year to 24 this year. 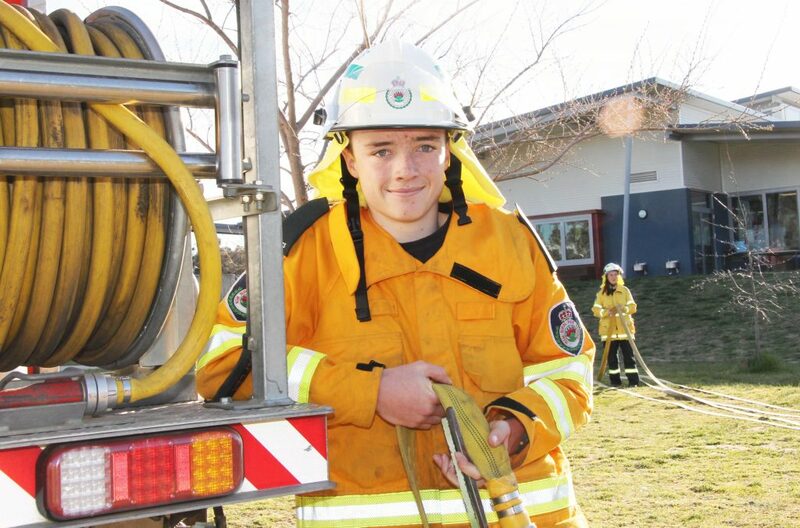 Almost half of the cadets from the 2017 graduation went on to join a local brigade as junior members, a high percentage that program coordinators hope to see continue, according to Deputy Group 4 Officer, Ian Avage. 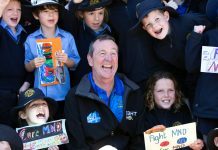 He said there are many other benefits, including teamwork and commitment. 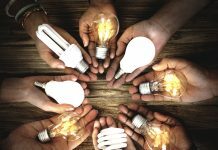 “As well as contributing to the community, the students are at an age where they are applying for part-time jobs,” he said. 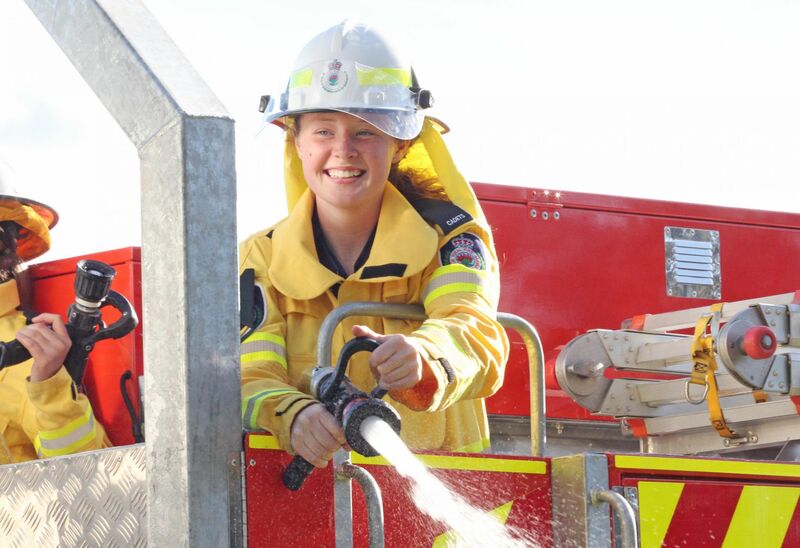 In addition, cadet firefighters can put their skills to the test against other cadets at an annual competition hosted by senior RFS volunteers. Practising fire hose accuracy skills from the back of the truck. 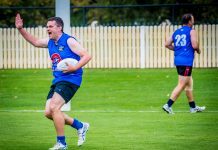 Trinity was runner-up over-all at last year’s Division 13 Cadet Championships, and will be sending two teams to the event this year, being held at Holbrook on 13 and 14 October. 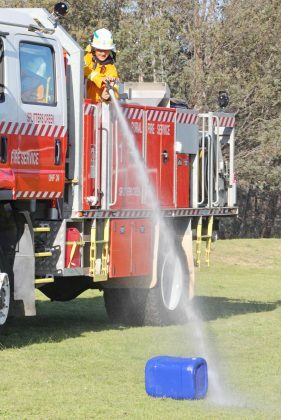 Volunteer fire brigades on the Border are participating in this weekend’s state-wide NSWRFS Get Ready Weekend, 22 and 23 September, to raise awareness of the dangers of the upcoming fire season. 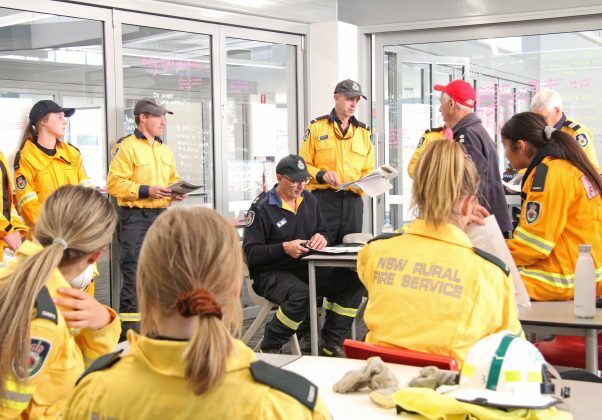 “With drought conditions being experienced throughout NSW, and below-average rainfall with above-average temperatures, the 2018-2019 Bushfire Danger Period in the Southern Border District has been brought forward by one month,” Deputy Group 4 Officer, Ian Avage, said.